An evening of dance, music and intense full moon. Barefoot Records from Copenhagen opened their first show yesterday the 08th March at Charlottenborg in Copenhagen. 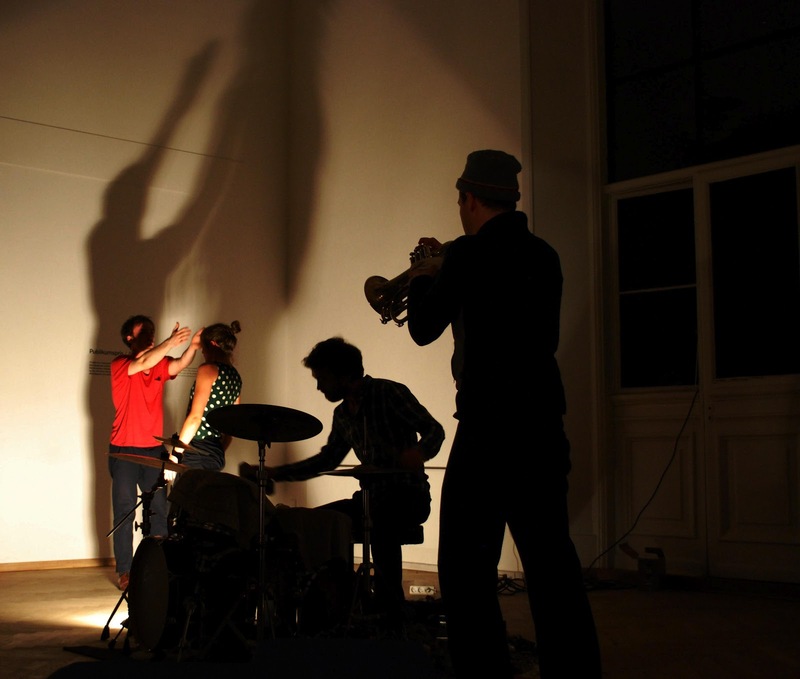 During 3 nights this spring the musicians from Barefoot will introduce their music with special guests. The first show introduced drummer Håkan Berre (NO) and trumpet player Stephan Meinberg (D) who were accompained by the dancers Linda Reinered and Frej Stenholt Mortensen. 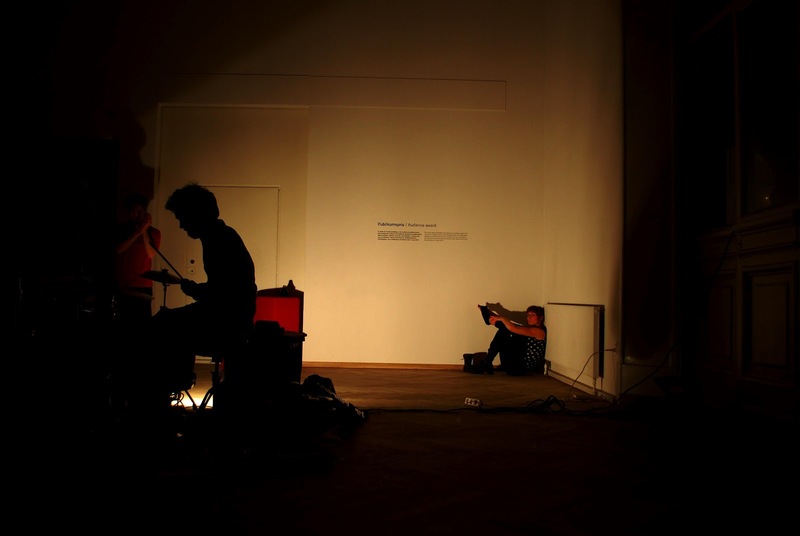 They music is impro, with no PA, music and sound freely in the artspace of Charlottenborg. Light, shadows, sound and intensity.